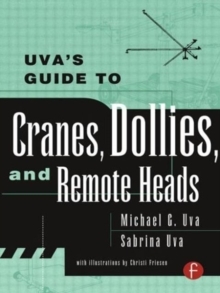 Uva's Guide To Cranes, Dollies, and Remote Heads is a comprehensive guide to all the latest equipment-what it is, how to use it and where to find it. This new book is designed to provide the more experienced professional with a streamlined reference to the equipment without the how-to information beginners require. 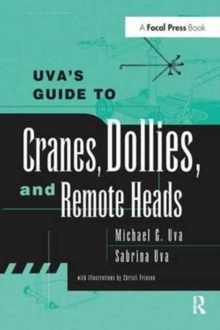 Like the Grip Book 2E, it lists standards and features of all the different types of equipment covered, and with the recent explosion of new equipment introduced into the film industry this reference is invaluable!As a reference guide, Uva's Guide To Cranes, Dollies and remote heads provides must-have information for a larger group of film professionals. 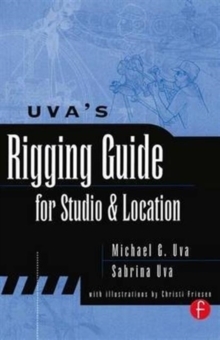 Producers, directors, and DPs, and others responsible for securing equipment for a project will consider this an indispensable tool that will become an industry standard.